At the recent Eagles combatant tournament three soldiers won big using the mixed martial arts techniques they learned in their training. The article goes on to discuss the benefits of mixed martial arts training. Is there really anything new here? Most of the ‘newer’ martial art styles are simpy new styles that chose alacarte from the best of other styles. This doesn’t necessarily make them better. I think there is a large question of training. Hmmm guys from the military won! Could it be they take their training a little more seriously? Another possible anwer is that when people compete they have certain expectations given the style of their opponent. In having preconcienved ideas of what their opponent might do they tend to prejudge and thereby underestimate their opponent. If I spar with someone who practices Tae Kwon Do then I expect more kicks, if they suddenly hit me with a flurry of hand moves I might be caught off gaurd. I’m not saying these guys aren’t good, just the emphasis on the mixed martial arts might be misplaced. It appears Rush Hour 3 is in the works. Way to go Jackie Chan! Always amusing, clean and full of action, I only wish they had a release date. Every so often we see a story like this guy meets woman; guy gets woman to give him money; guy get woman to give him more money…, and; woman finally gets smart (maybe). This case has an unusual twist with the woman begging for mercy on behalf of the guy! This brings me to the point I want to make: Self-Defense goes well beyond physical proxcimity, it is a state of mind. If these two women were self-defense minded they could never have been exploited in this way. This guy launched an emotional and mental attack on these women and they never saw it coming. Be aware not only of your physical surrounding but of what trust relations you establish. Always reassess your situation and your relationships. Put checks in place to protect yourself. If a guy or girl asks for money say NO and see how they react. If you feel so compeled, instead of giving them the money make the investiment/purchase/payment for them! Above all use your brain and trust your instincts, they are usually right but as this story demonstrates sometimes the one we need protection from is ourselves! After my last rant this seems an appropriate story! The Everett High School in Lansing,MI,USA added Martial Arts to their physical education curriculum. While the article doesn’t specify the program has been offered for at least four years. To date the program has awarded three black belts. The latest exam lasted 35 minutes, quote: “and intense 35 minute tae kwon do exhibition”. From my experiences this seems a rather short exam however it appears in needs to be completed within a normal High School class period. I wonder if the students involved in this program attend any of the area Dojos…? I wonder if this school allows area Dojos to come to the school to give Demonstrations or recruit? I remember when going to summer school was a bad thing! If you HAD to go you were labeled one of the bad or stupid kids. My how times have changed… This year in Poplar Bluff,MO,USA they have 548 out of 999 students enrolled in their summer school program! That is up from 210 last summer. 55% of the students are going to school ALL YEAR LONG. Am I the only one that sees anything wrong with this?! Where are their parents? I know all you working parents now have your nose out of joint… While I understand the need to make a living we must keep our priorities straight. When you have a child you accepted a responsibility. O.K. what does this have to do with Martial Arts/Karate training? Well one of the programs being offered is Tae kwon do. While I think it is great that the kids are getting exposed to the Martial Arts I fail to see the place of the school system in this equation. Many people will argue the school is providing a ‘valuable’ service. I would say that the government (via the school) is providing a service the private sector should provide. That means we are paying higher taxes (including the parents of the 45% who didn’t send their kids) to support this program. Meanwhile this program will surely reduce the profits and thereby the tax contribution of local summer camps, programs, etc. and again cause an increase in our taxes. Do you see the vicious cycle? Now all is well and good, we should be happy that so many kids are learning the Martial Arts because after all many of them will decide to continue and join our classes and dojos! But how will you feel when the government (via the schools) decide to offer after school karate instruction as an alternative to going to your dojo? It will be great if you are running the program, otherwise you better start looking for new work. This article gives a nice brief explanation of Tai Chi. While I do not practice Tai Chi I consider it to be the Ultimate Martial Art. Everything I have seen and read pertaining to Tai Chi has reinforced my belief this fact. It is my goal to finish my life as a Martial Artist practicing and mastering Tai Chi. More information can be found here on the official Scott Pilgrim site at www.scottpilgrim.com. No real comments for this one, if you understand the headline then it may be important to you, if not perhaps you can learn something! Jackie Chan speaks out as part of an International campaign to raise awareness of the dangers and impact of fake products. 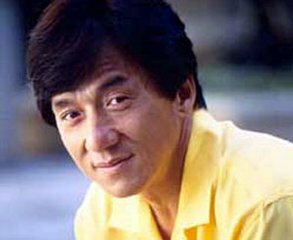 Jackie Chan’s personal stake in this cause is the illegal reproduction and sale of his movies on DVD. That being said I doubt this is his primary motivation, Jackie Chan seems to truly be interested in stopping the title wave of this negative market force. Based around supporting criminal elements (organized crime, terrorists, petty thieves) the production of fake products creates active sources of exploitation for child labor and slavery. Unlike the typical business model that provides some economic gain (though minimal) in the production of real products within the bounds of the local labor laws (if present). Given the recognition of Jackie Chan globally adding his name to this fight could in time help raise awareness of the subsidiary problems of child labor exploitation and slavery rampant in the world today. But keeping thing light Jackie Chan “used a flurry of karate chops against four assailants wearing Jackie Chan masks. He also cut a tie in half with scissors and ripped apart a pair of counterfeit shoes with his bare hands.” I pity the counterfeiter that Jackie runs into! Here’s a story of a Karate Student from Colorado doing more the using his hands and feet! 14 year old Benjamin Black attended the 2005 National Geographic Bee after winning at the State level. While Ben didn’t win he demonstrated the Martial Spirit (Budo). Congratulations Ben! It goes to show you that achievement is a big part of any martial artists life.